WHERE: Meet at Bernazzani School on Furnace Brook Parkway at 7:30 am. 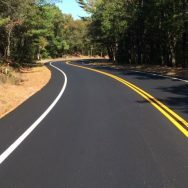 ROUTE: A beautiful and somewhat strenuous ride that go into the Blue Hills to the lookout at Chickatawbut and then return and ride to Houghs Neck and Nut Island and then return to the Bernazzani school. Coffee and pastry at Montilios Bakery by 9:45.